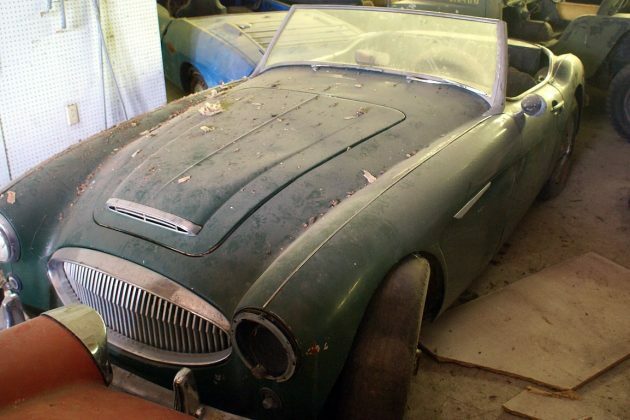 Over 700 Barn Finds Up For Grabs! When Ron Hackenberger bought his first car, a 1948 Studebaker, at just 15 years old, he likely didn’t realize that over half a century later he would amass a collection of cars, trucks, motorcycles, and tractors that numbers over 700. Nevertheless, that’s just what the Norwalk, Ohio resident has consigned to auction this July and it’s one of the more eclectic collections of vehicles we’ve seen yet. Hackenberger’s former trucking company used to deliver goods around the country and when the man himself was at the wheel, he’d always keep an eye open for interesting cars that he could haul back home with him. That kept the collection steadily growing but as the years stacked up, Hackenberger realized that his dreams to restore many of the cars and start a museum were bound to be untenable. With a collection of this size and eccentricity, it’s difficult to say what the focus is. That said, roughly 250 of the cars for sale are Studebakers – Hackenberger’s first love – but there are also a fair number of microcars, including a BMW Isetta, a Crosley, and a Nash Metropolitan to name but a few. Also spotted in the inventory, a DeLorean, several Citroens including a DS, a Borgward, a Tatra, and a Darrin. Muscle cars including a ’65 Ford Mustang, a ’67 Plymouth Barracuda and a ’66 Dodge Charger will also cross the auction block. Hackenberg and VanDerBrink Auctions will be hosting the sale over the weekend of July 15 and 16, including preview event on July 14, which will be attended by the owner himself. All vehicles on offer will be sold at no reserve, increasing the odds of scoring a project car at a bargain price. Visit vanderbrinkauctions.com for all the details.